Great Home With Tons Of Privacy And Room For Your Garden. MLS#8550663. Keller Williams Atl. Midtown. Mcever Woods - Oversized Master Bedroom, Separate Shower And Walk-In Closet. Rocking Chair Porch. Privacy Fence. MLS#8550347. 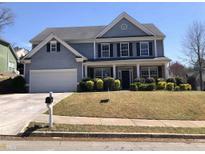 Sheffield Realty Group, Inc..
Silveroak - 3 Car Garage/Drive With Lots Of Play Area For Basketball, Riding Bikes, Etc. MLS#8549784. Atlanta Communities. Woodstream - Private:Back On Market Buyers Financing Fell Through. 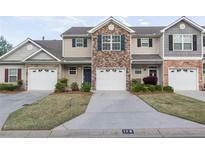 MLS#8549444. Fed-Man Real Estate, Llc. Amazing Deck with Fireplace Overlooking Level Backyard MLS#8549259. Re/Max Pure. Walking Distance To Downtown Shops, Restaurants, Lake And Parks! 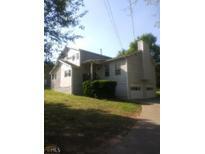 MLS#8549262. Keller Williams Realty. Kellogg Creek - New Hardwood Floors And All New Fixtures MLS#8548354. Southeastern Home Team. Arbor Walk - Don’T Miss Out On An Opportunity To Love Where You Live. MLS#8547953. Southern Classic Realtors. Enjoy Hiking, Biking Trails & More At Nearby Rope Mill Park & Lake Allatoona! MLS#6521508. Atlanta Communities. Wonderful Upscale Neighborhood, Great Amenities And Perfect Location! MLS#8545642. Re/Max Pure. Rose Arbor - Garage Features Stairs To A Large Floored Storage Area. 5 Min To Shopping & Restaurants. MLS#6519872. Re/Max Greater Atlanta-Cobb. Hickory Grove North - Home Comes With A 30-Day Buyback Guarantee. Terms And Conditions Apply. 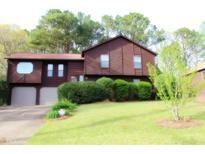 MLS#8544452. Opendoor Brokerage Llc. Stonehaven Villas - Stair Lift,Bookcase, Baywindow, Fenced Porch, Large Yard Beside. MLS#6519791. Americas Realty, Inc..
Cedarcrest Village - Some Photos Are Of A More Finished Unit For Marketing Purposes Only & May Include Some Upgrades. MLS#6518227. Keller Williams Realty Signature Partners. Very Well Maintained Home In Quiet Community, Close To Parks, Shopping, Restaurants, Interstate. This Is A Must-See! MLS#6516167. Atlanta Communities. 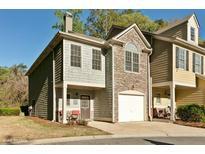 Close To Downtown Kennesaw, Restaurants, And Entertaining. MLS#6516610. Atlanta Communities. Located Just Minutes Between I-575, Shopping, Professional Office Parks, And Kennesaw State University. MLS#6516522. Atlanta Communities.